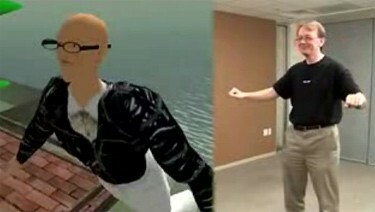 Hands Free 3D: Open Source Predecessor of Microsoft Kinect? $2,000 is the current bounty for free/open Microsoft Kinect drivers (via Adafruit Industries), which really jarred some memories for me. 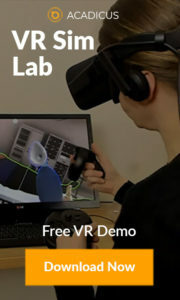 Whatever happened to ‘Hands Free 3D‘ – the “prototypical interface” that enabled the control of virtual worlds “hands free” …without a mouse or keyboard? Competitors for the bounty might be wise to look it up. Maybe… it depends on how you look at it, I guess. I’m sure there were lots of hands-free controllers in development at the time, but Second Life definitely had robust voice integration when Hands Free 3D was operational, and 30 frames per second was certainly possible on dedicated hardware. Could it have enhanced the game experience? Absolutely. What ever happened to Hands Free 3D? If open source code was contributed, where is it now? Is it anything like Kinect? It sure looked like it was. Is there hope for a Hands-Free controller for virtual worlds? Can we, in fact, pick up where they left off?